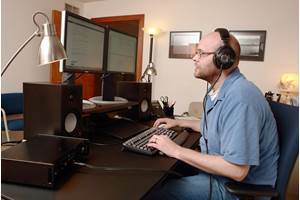 Former Crutchfield staff writer Woody Sherman spent years working as an editor and manager in the video industry at the national level. 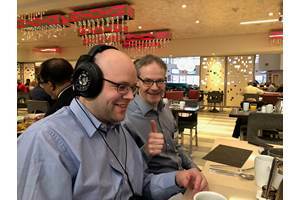 A little while ago I had my first experience with the Grado 325i headphones. 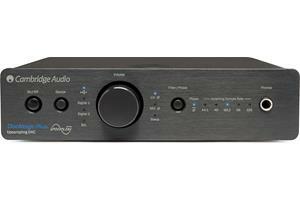 During the process of doing the review, I had a chance to power them with a NuForce uDAC-2 headphone amp/digital-to-analog converter (DAC), which significantly increased my listening pleasure by giving songs with wide dynamic range a chance to shine. The only drawback? The uDAC 2 needed to be fed (and powered) via a USB out from my MacBook® Pro, which added another big footprint to my always in-demand desktop space. If only there was a way to use that amp with my iPhone®. Fast forward a few weeks: I got to check out a production model of Nuforce's latest offering, the Icon iDo® DAC. It's made specifically for Apple-dockable devices: the iPod®, iPad®, and iPhone®. This sleek device is sure to be a winner down the road. First of all, it solves my footprint problem. Secondly, it charges my iPhone when connected. And thirdly, it sounds even better working with my iPhone 4 than the uDAC 2 did when connected to my computer. How's that possible? I have a theory: with a dedicated power supply, the iDo has more internal resources to deliver audio with enough reserve power for high dynamic-range bass, peaks and transients. 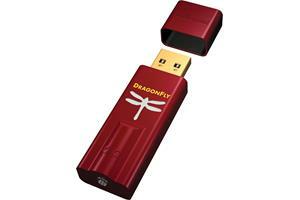 The uDAC 2, on the other hand, has to sip from your computer's USB power tree. The iDo is a serious piece of gear for something so portable. A minimalist silicone stand holds the iDo securely vertical for easy placement in a desktop environment. It's got its own outboard "wall wart" power supply and is slightly smaller than a paperback novel. It comes in red, blue, and black in addition to the clean, classic silver finish that I got to review. It's easy to see the iDo is way larger than its uDAC brethren, yet narrow enough to adapt to most all placement challenges. An LED level readout shows you just how much gain you've dialed in. Like most headphone amps, there's only one moving part: a substantial-feeling, click-detented volume knob. At first I thought that might mean a coarse and noticeable jump in apparent volume as I turned the knob up or down, but I was struck by the smooth gain curve and the fine level of control. This knob needs to be dialed significantly in order to radically change volume — and with today's highly sensitive in-ear devices, that kind of fine adjustment is much-appreciated. audio to your home system, as well as coaxial digital audio (S/PDIF) from your player. The back of the unit is simple as well. There's a power button, the power supply input, a USB input, analog RCA outputs, and a coaxial digital (S/PDIF) output. 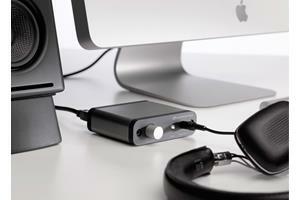 Your iPad, iPod, or iPhone already has a DAC built-in, to create an analog signal for the headphone jack. But due to space constraints and battery-life limitations, it probably won't surprise you to hear that it's not on the same order as the circuitry in the iDo. 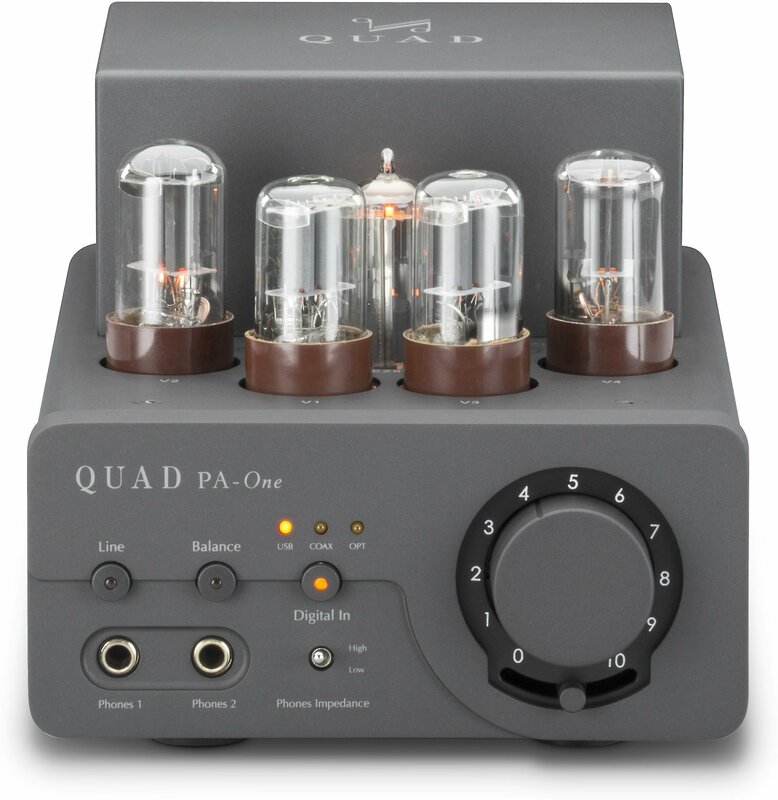 The iDo bypasses this DAC, and the analog pre-amp and headphone amplifier found in all of Apple's music players. With the original digital data intact, the iDo uses its superior electronics to rebuild an analog signal that's far more pleasing to the ear. On the output side, this amp makes a signal that's clean as a whistle. Specs claim a >95dB signal to noise ratio, and .01% total harmonic distortion. Also, there's no sample rate conversion, the circuitry is designed to work at Apple's native sample rates. Some hardware and software solutions convert the digital information in an audio file to a different "clock rate", or use a different number of data parcels (bits) to describe the signal. This conversion can add artifacts to the decoded analog signal you hear. Think of it as the results of taking a picture of a picture, or saving a high-resolution photograph in a different format from its native one. You may use the best gear and workflow, but it will never be exactly the same as the original, and you may reap some undesirable consequences. The amp will interface to your home stereo through either the analog or digital connections noted above. The same connections could also be well-suited to some nicely-voiced powered speakers. It will also accept IR (infrared) remote volume and play/pause commands from Apple remotes, like the ones that come with an iMac® or an Apple TV®. The Nuforce Icon iDo delivers clean, uncolored sound, and will drive the most demanding headphones with confidence. 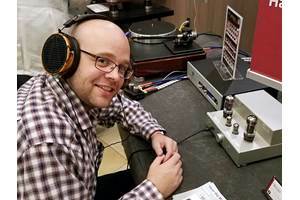 I got to sample the aforementioned Grado 325is, some Klipsch S4i earbuds, some very inexpensive Sony MDR-V150 closed over-ear headphones, and the exceptionally even-voiced Sennheiser HD 598's. While each of these headphones reacted in their own particular way to the iDo, it was still clear in each case that the signal passing through the DAC was noticeably (and sometimes dramatically) better sounding than the headphone out signal from my iPhone 4. I could now hear Sara Bareilles' subtler intakes of breath as she sang a ballad, and Phil Collen's (no, not Phil Collins, Phil COLLEN!) expressive thumb-follow-on harmonics on the guitar solos from Def Leppard's Pyromania album. And, in headphones that were skewed toward bass response, this amp delivered a satisfying thump and rumble, even at low volumes on both classic rock and classical offerings. It should be noted that these amps do not pass along remote or microphone information to the Apple product on headphones that are so equipped; in a desktop environment, that's a small price to pay for minimal cables and a charged phone. Overall, this product feels well-designed and thought through and reasonably priced, given there are few if any comparable offerings on the market. I have a feeling Nuforce's mighty iDo will rank high on my wish list for the upcoming year.